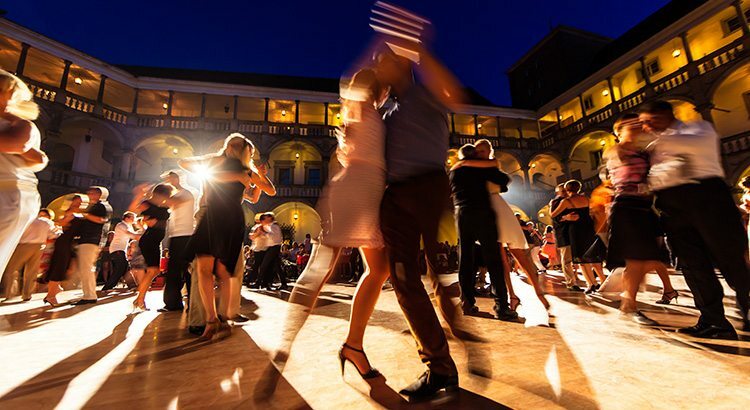 In the summer there are a lot of nice tango dance events you can go to. Meet new people and enjoy dancing outside in the sun. Locations differ in the park, on the beach and of course also inside nice venues. With this special Summer Course Argentine tango, Privéles Tango helps you to become a tango dancer quickly with a serie of specially created private lessons. The Argentine Tango is a dance of passion and connection. An improvised dance in which the man and woman enjoy the music together by a connected movement. Start enjoying this beautiful dance and also get to know al lot of nice people at one of the many salons in The Netherlands. * The private lesson can be given in a studio or at your place (ex. travel expenses to your location). A short introduction about the Argentine Tango etiquette. If you are interested and like more information about the private lessons Argentine tango. Please contact us and we’ll get back to you as soon as possible.